Over the last few weeks I've been trying to "get dressed" every day. For some reason, it seems to make my days more productive when I pull off my PJs and put actual clothes on. As most of you know, I am a SAHM and work part-time for myself (this blog). It's so easy to stay in my leopard fuzzy slippers, comfy flannel pants and an old t-shirt from college, especially since some days I don't have a particular place to go or be. I made a pact with myself and started a new routine by going to the gym in the mornings, getting dressed afterward, then either volunteering at school or running typical errands and feeling like I am going to "the office" for work. My outfits may not be your typical office attire, but they work well for my lifestyle Monday through Friday and weekends too. I mentioned last week that I was thinking about resurrecting Instagram #OOTD recreates, well here we are again. 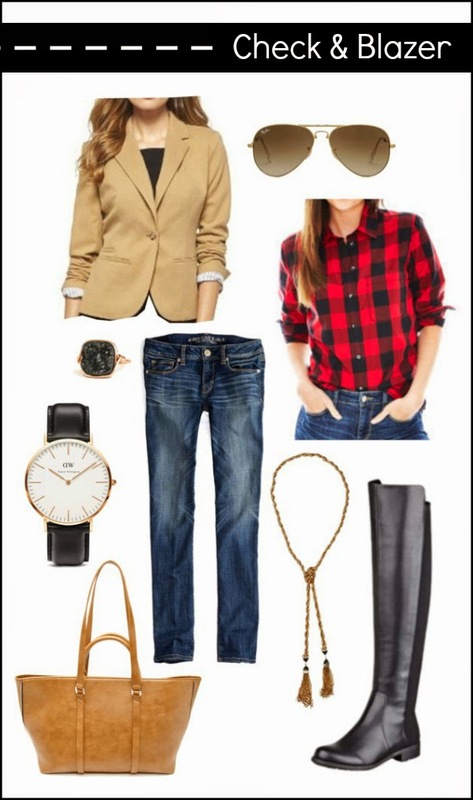 These posts are fun to put together and share specific pieces you can wear together or remix with items you already have in your closet. P.S. The two collages contain exact items of what I wore and own. The only pieces added are the jeans and Ray-Ban sunglasses. I do not personally own these items, but am a huge fan of both Gap and American Eagle denim. 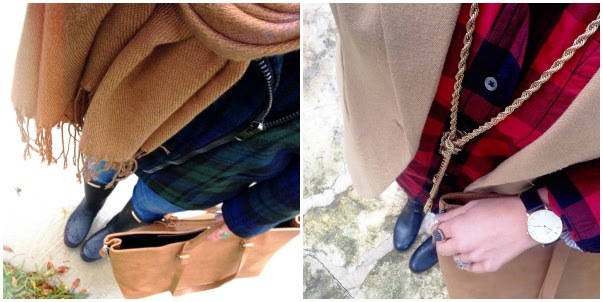 Love these everyday looks, I love plaid so the first look is a winner for me. That blue and green plaid coat is amazing!! 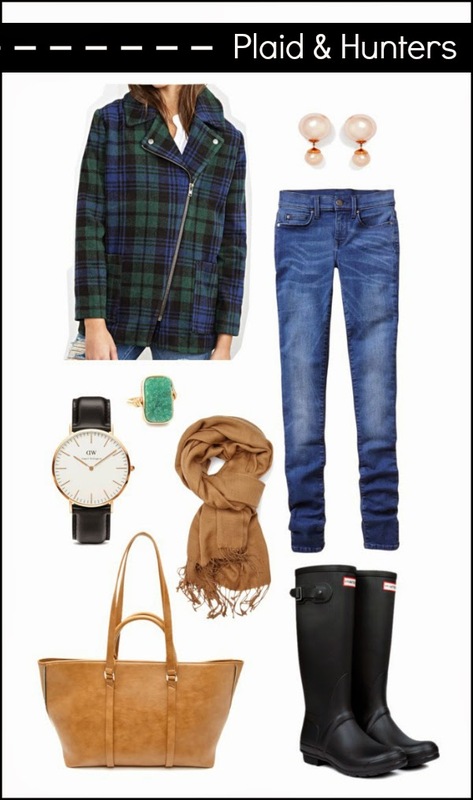 Great look, love plaid and check! As a fellow SAHM, I know that getting dressed and making an effort to look somewhat pulled together always makes me feel better and more productive. After 7 years it is still working (though, admittedly, I do have some days where the pj's stick around!). Yes I'm also a work at home mom and my little guy is small, so often it is easier to be in sweats, but I also get up, workout and get ready everyday. I really look at the Italians for inspiration because they are always so put together. Love both looks, you have such a knack for making effortless, chic looks! I love the idea of getting dressed (and going to the gym!!) i need to be better about hitting up the gym! lov both of these looks! Love love love that plaid jacket. Getting dressed definitely makes me more productive. You go girl going to the gym! I need to be better about exercise. How many times have I said that in my life? These looks are both so perfect! Chic perfection!